The murder of Baruch Mizrahi was a reminder of who exactly Israel was dealing with in peace negotiations, the Foreign Minister said. 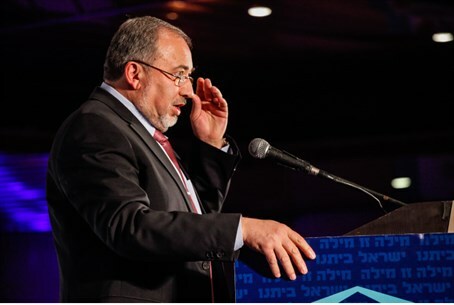 Speaking Thursday on a tour of Druze and Circassian villages in northern Israel, Foreign Minister Avigdor Liberman said that the terror attack on Monday night, in which police officer Baruch Mizrahi was murdered by an Arab terrorist, “reminds us, for those who may have forgotten, that Israel is faced with a large group of neighbors who have no problem using terror to achieve their goals, and whose leaders would never think of condemning the murder of a man whose only crime was to travel with his family to celebrate a holiday. “Any arrangement or deal that is made will have to be based on a security guarantee for Israel, and full recognition of Israel as a Jewish state by the Palestinians,” Liberman added.